TEI Shotgun. Thanks to Martyn for his fantastic high poly model. I really, really hope I did it some justice. Recruited onto the team a few weeks back, I found myself some free time to help out on an ArmA modifiction. This mod, titled "The Eridanus Insurrection", focuses on the pre-covenant war between the "Innies" and UNSC. 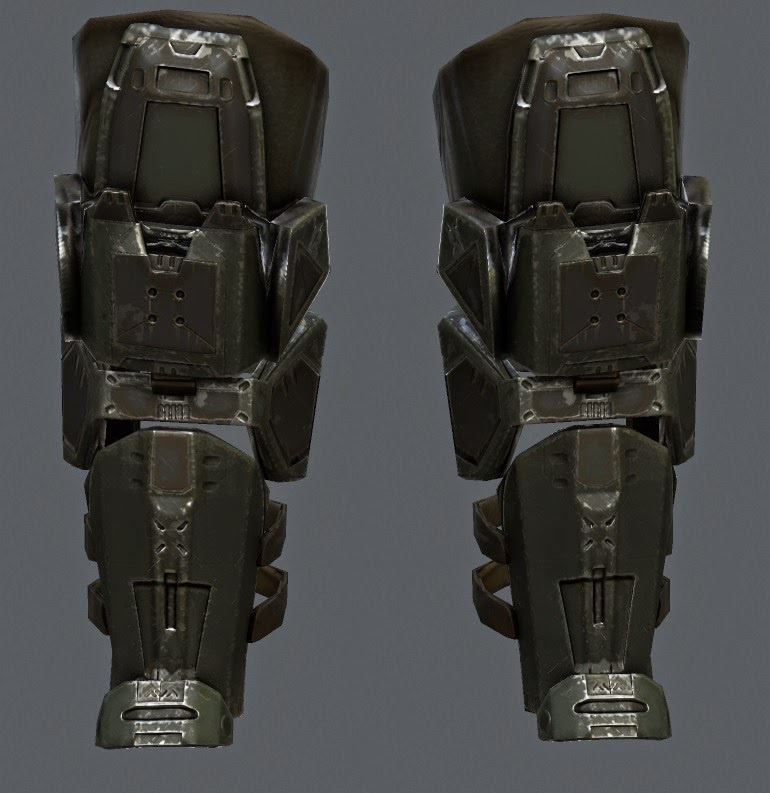 Alongside weapon(s), I also worked on the textures and high poly for the UNSC soldier/marines. In-game image courtesy of "TheDog". In-engine shots without any of the fancy specular or gloss. A lot of the work has to be fairly modular, to allow for switching in/out of textures and models. UNSC Vest Plate. Quite fun to sculpt in, actually. 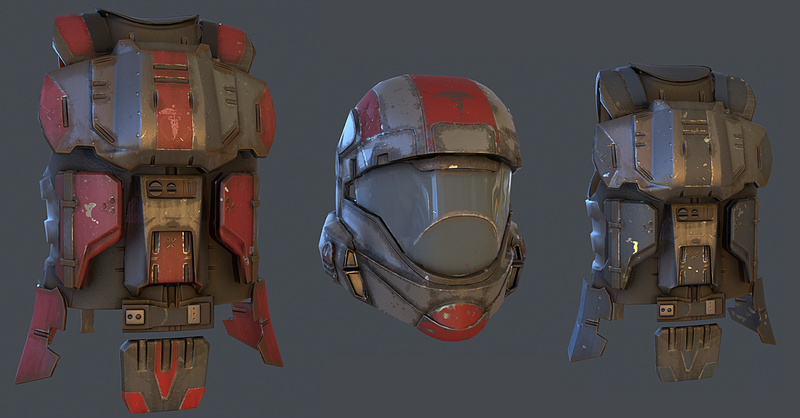 Learning hardsurface in zBrush really helped out my workflow for stuff like this. 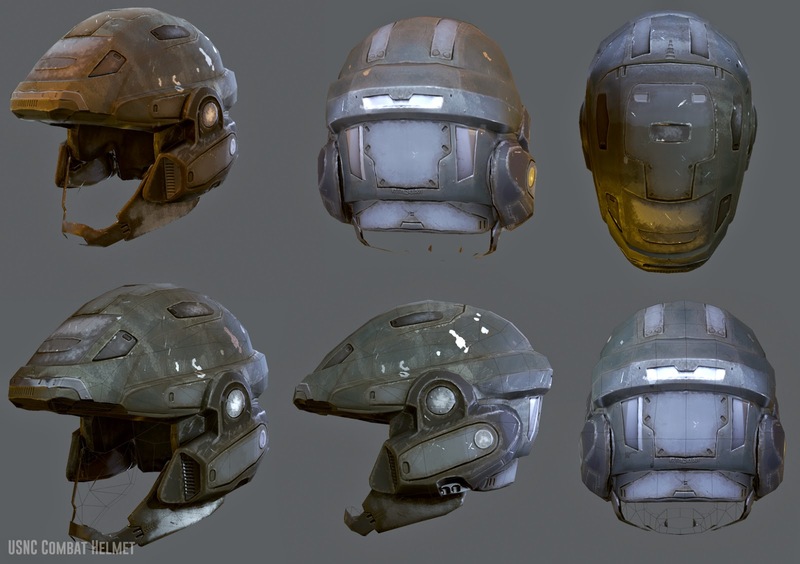 UNSC Combat Helmet. Below, you'll see the variant with an added face shielding. There are a few extra variants which make it extra interesting to see around the wastelands of ArmA! I thought these legs would really stand out here. 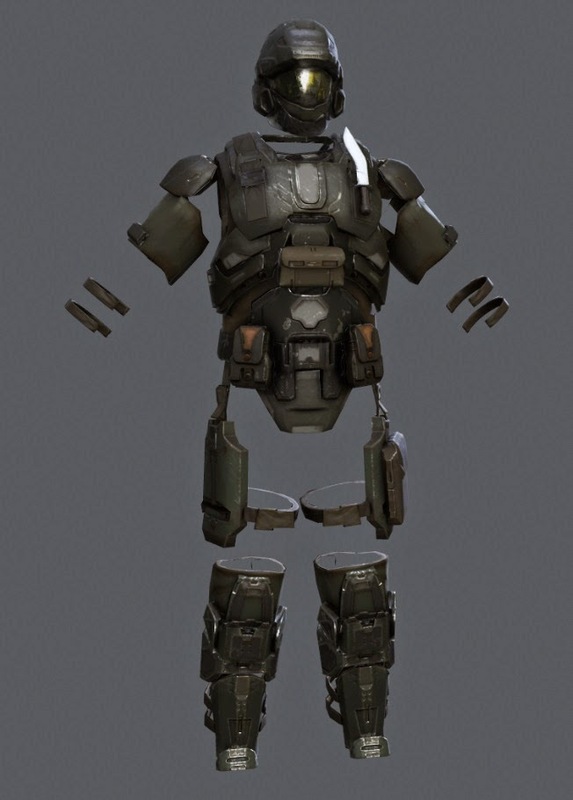 Total armour render. No under-layer. The armour is what's important, however! Thanks to Martyn Lee Ball for his shotgun high poly and low poly! 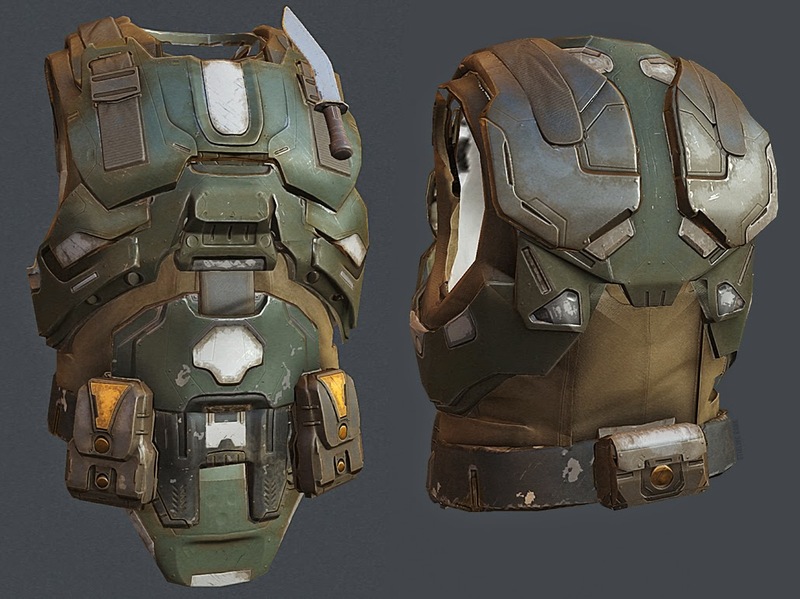 Few more ODST pieces here. 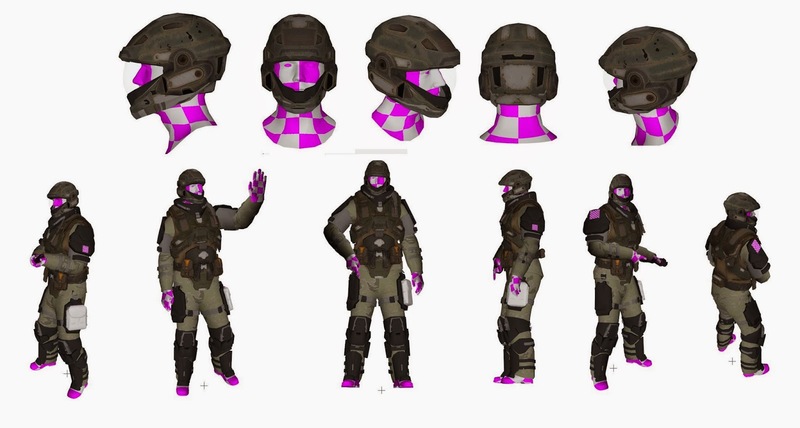 Recon helmet and ODST side-by-side. Lots of different ODST variants. They're actually in the game right now, our coder is tweaking reflectance values.